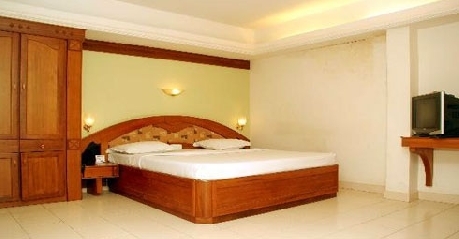 Hotel Gazala Inn is a three - star luxury hotel set in the midst of the city of Palakkad. The hotel is a short walk to the shopping bazaar and the business houses making is favorable for both corporate and leisure travelers. The Palakkad Railway Station is just 1 km from the hotel while the nearest airport is Coimbatore at a distance of about 50 km. The hotel offers several state-of-the-art amenities and services such as doctor on call, in house laundry facility, travel assistance, 24 hour front desk and spacious car parking. 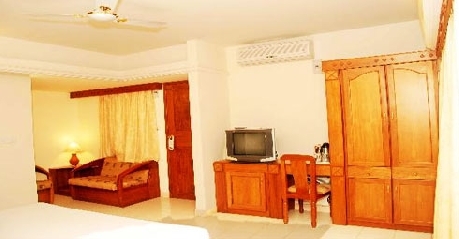 Non smoking rooms / areas are also available in the hotel. 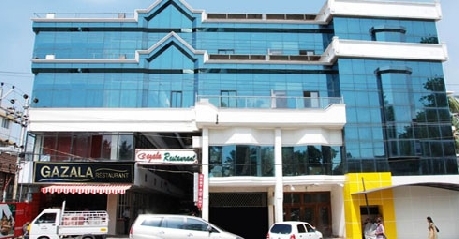 The hotel features five banquet halls – Sangeetham A/C Hall, Sopanam A/C Hall, Nirmalayam, Swayamvaram and Executive Board Room - that are ideal for business meetings, conferences, training sessions, product launches, seminars as well as occasions like weddings, banquets, private gatherings and receptions. 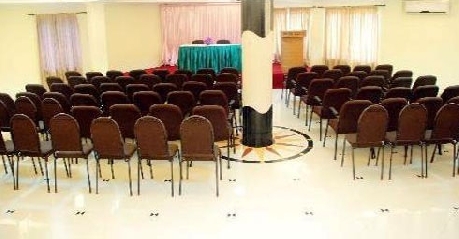 The halls can be tailored according to the guests’ business and conference needs. 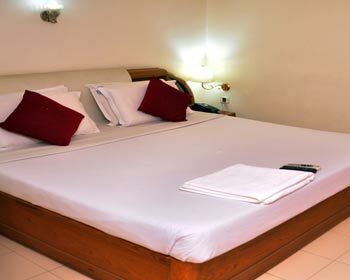 Hotel Gazala Inn offers a convenient and a pleasant stay at very affordable rates. 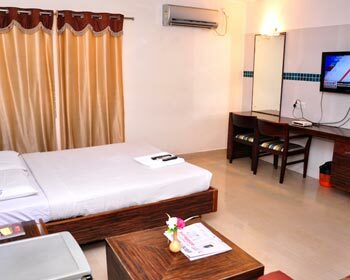 Tastefully decorated and furnished, all the rooms offer state-of-the-art amenities and conveniences such as LCD television with satellite channels, direct dial STD / ISD telephone facility, air conditioning, work desk, in room electric kettle, internet connectivity (surcharge) and round the clock room service. The attached bathrooms have a European design and are well appointed with running hot and cold water, shower and bath accessories. 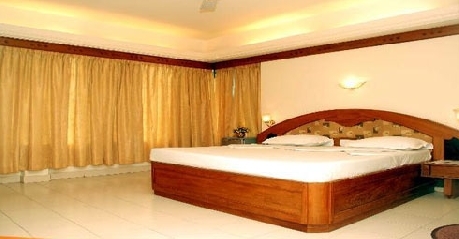 These rooms have beautiful interiors and an elegant décor that makes for a pleasant stay. The in room amenities offered in each room comprise of air conditioning, internet connectivity (surcharge), telephone with direct dial STD / ISD facility, LCD satellite television, work table, in room tea and coffee maker and European styled private baths with shower, running hot / cold water and bath essentials. Round the clock room service is provided. The suites are spacious, lavish and incorporate a living and dining area. The suites are a beautiful amalgamation of European and Oriental décor. 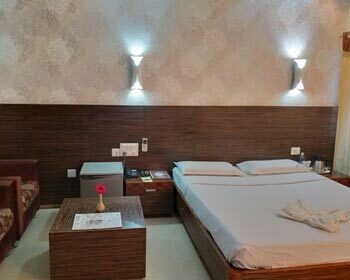 The suites include contemporary amenities for the convenience of the guests such as air conditioning, LCD television with cable channels, STD / ISD direct dial facility on telephone, work desk, tea and coffee maker, internet accessibility (surcharge), dining table and sofa unit. The private baths have an elegant European style and are well equipped with running hot / cold water, shower and bath accessories. Round the clock room service is facilitated. The multi cuisine restaurant serves a wide variety of food choices like Tandoor, North Indian, South Indian and Chinese cuisines. The restaurant has a nice ambience and is great for family meals. The food is individually prepared by the expert chefs that add to the significance of the occasion. Once here, don’t forget to try the mouth watering biryanis which are the restaurant specialty. As the name suggests, Bristo serves amazing food round the clock to satisfy your hunger pangs. The ambience is warm and cozy. The menu offers cuisines ranging from local specialties to Indian and Continental cuisines. Enjoy your meals with soft music playing in the backdrop or while watching television on a 42 inch LCD. The place makes a nice venue for lunches and dinners with friends and family.